Think of the eye as a camera. Now imagine that the front structures of the eye act like the lens of a camera to focus the light through the middle to the back. The body of the camera is space and in the back is the film that captures the light to be processed into an image on photographic paper. Digital cameras have a similar analogy but the film is a processing chip and a computer generates an image on an LCD screen rather than on photographic paper. The eye can be imagined the same way: the tears, cornea, and lens focus the light through the vitreous gel in the middle cavity, to the back layer of the eye, the retina. The retina captures light signals that it sends to the optic nerve which in turn sends them to the brain where the image is created. 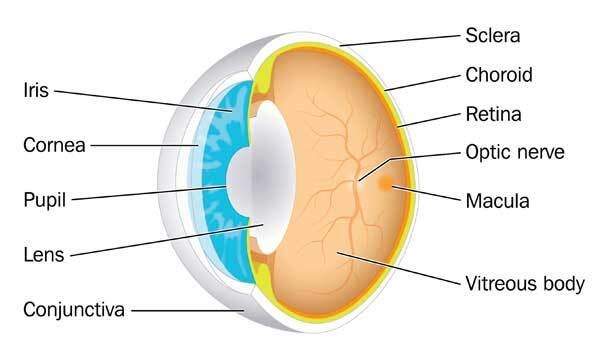 The front structures of the eye act like lenses, the vitreous like the housing, the retina acts like film or a processing chip, the optic nerve mimics a processing cable, and the brain provides the final image display. and acts like the film of a camera to capture light signals that are then transmitted via the optic nerve to the brain to create vision. When healthy, the center of the retina, or the macula, allows us to see detail clearly. 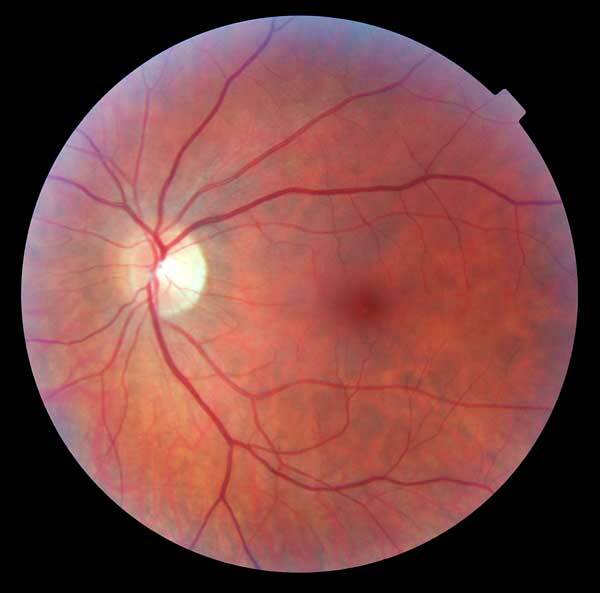 The area surrounding the macula is the peripheral retina and enables us to see to the side (peripheral vision). Damage to the retina can be caused by many things such as diabetes, high blood pressure, infection, injury, medications, or aging. Countless blood vessels nourish the retina, and when these leak or become obstructed, vision becomes blurry or is lost completely. That fills the inside of the eye and is attached to the retina at microscopic points. Vitreous conditions such as hemorrhage (bleeding) or degeneration can interfere with vision or cause retinal problems, such as retinal tear or detachment, that require treatment for vision recovery.